In 1984, thirteen dentists were discussing a seminar they had just attended on the dangers of mercury from dental amalgam fillings. They agreed that the subject was alarming. They also agreed that the seminar, though long on fireworks, was short on science, and if there really was a problem with dental mercury, the evidence ought to be in the scientific literature. So, like thirteen musketeers vowing “all for one and one for all,” they set out to find the evidence, or failing that, to sponsor new research that would provide the answers they sought. Over two decades later, the IAOMT has grown to over 700 active members in North America, with affiliated chapters in fourteen other countries. The years have been very fruitful, as the Academy and its members have chronicled and promoted the research that has proven beyond a reasonable doubt that dental amalgam is a source of significant mercury exposure, and a hazard to health. A more biocompatible approach is the hallmark of “biological dentistry.” In using that term, we are not attempting to stake out a new specialty for dentistry, but to describe an attitude that can apply to all facets of dental practice, and to health care in general: to always seek the least toxic way to accomplish the mission of treatment, to do it while treading as softly as possible on the patient’s biological terrain. 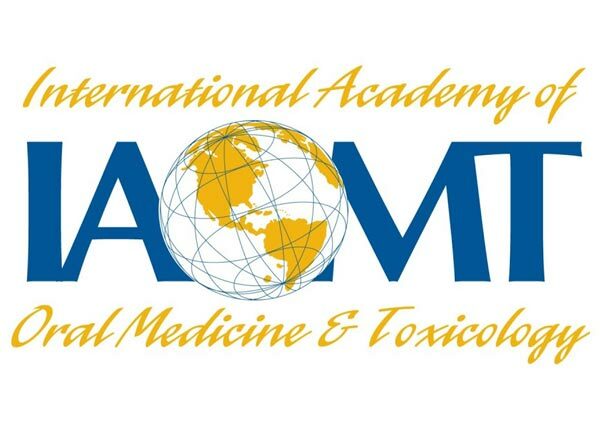 The scientific activities of the IAOMT are overseen by an advisory board composed of world leaders in biochemistry, toxicology and environmental medicine. The famous “sheep and monkey studies,” by Vimy and Lorscheider, in which amalgam fillings labeled with radioactive mercury were placed in the animals’ teeth, and demonstrated that the mercury quickly disseminated around their bodies. They showed mercury distribution to the fetus of pregnant animals, and a variety of physiological lesions. Neurobehavioral studies of dentists and staff, by Echeverria, et. al., linking neurological and behavioral deficits with their occupational exposure to mercury. Animal model experiments by Haley and Pendergrass, et. al., demonstrating that mercury vapor in the range that we are exposed to by amalgam fillings can get into a rat’s brain and cause a biochemical lesion identical to Alzheimer’s disease. These researchers had previously clarified the biochemical mechanism by which this happens. Tissue culture experiments using growing nerve cells by Leong, et. al., that show how vanishingly small quantities of mercury can totally disrupt the newly growing nerve endings, leaving the characteristic neuro-fibrillary tangles found in Alzheimer’s disease. Scientific meetings are held twice a year around the US and Canada, with a varied program of cutting edge material. DVDs and audio CDs of previous meetings are available through the website store. The IAOMT has an Accreditation program for active members – an intensive educational experience, and certification for those who complete it. Show the public that you are up to speed in the basics of biocompatible dentistry, and methods for safely dealing with mercury exposure from amalgam. IAOMT members have also been expert witnesses before dental boards and trial courts, supporting mercury-free dentists in their struggles against harassment by the pro-mercury establishment. Ongoing research, education, and political action, along with patient referrals, peer support, and the camaraderie of a group of docs who are truly interested in healing, make the IAOMT an exciting organization of which to be a member. Effective April 20,2005, the Internal Revenue Service of the USA recognized the IAOMT to have federal tax exempt status under section 501(c)(3) of the Internal Revenue Code, with a Public Charity Status 509(a)(2). Our annual information return, Form 990, is available for public inspection, as well as the exemption application, exemption letter, and supporting documents. A copying and postage fee will apply. The IAOMT is therefore qualified to receive tax deductible bequests, devises, transfers, or gifts under section 2055, 2106, or 2522.